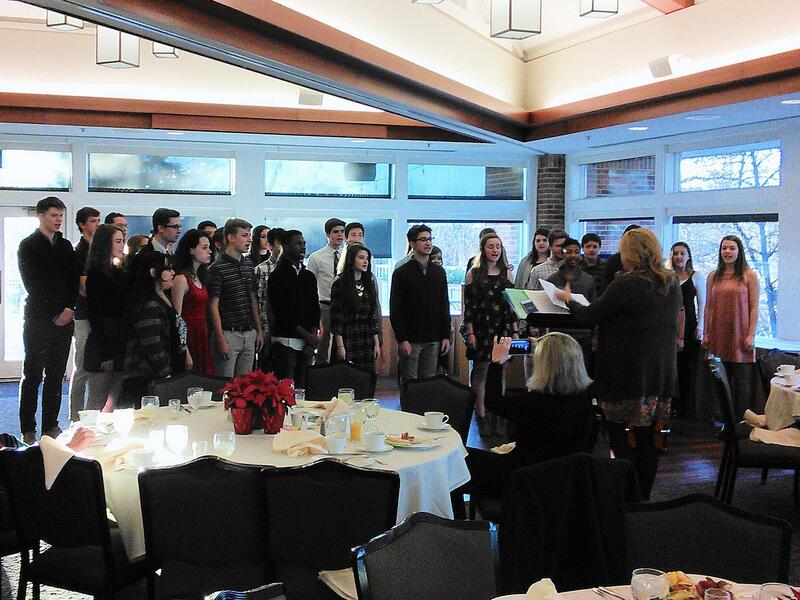 Members and guests were delightfully entertained at our holiday breakfast by the WNHS Chamber Choir under the direction of Kassandra Krause. The Chamber Choir is an auditioned mixed ensemble and is the most select choir at WNHS. Emphasis is placed on music literacy, music theory and vocal pedagogy. All chamber students are encouraged to audition for IMEA District IX. Using advanced repertoire, students will perform at a high level and will be assessed bi-weekly. It is highly recommended that students in this ensemble seek private vocal instruction. Students are expected to practice daily for the length of time necessary to be technically proficient on the assigned repertoire.